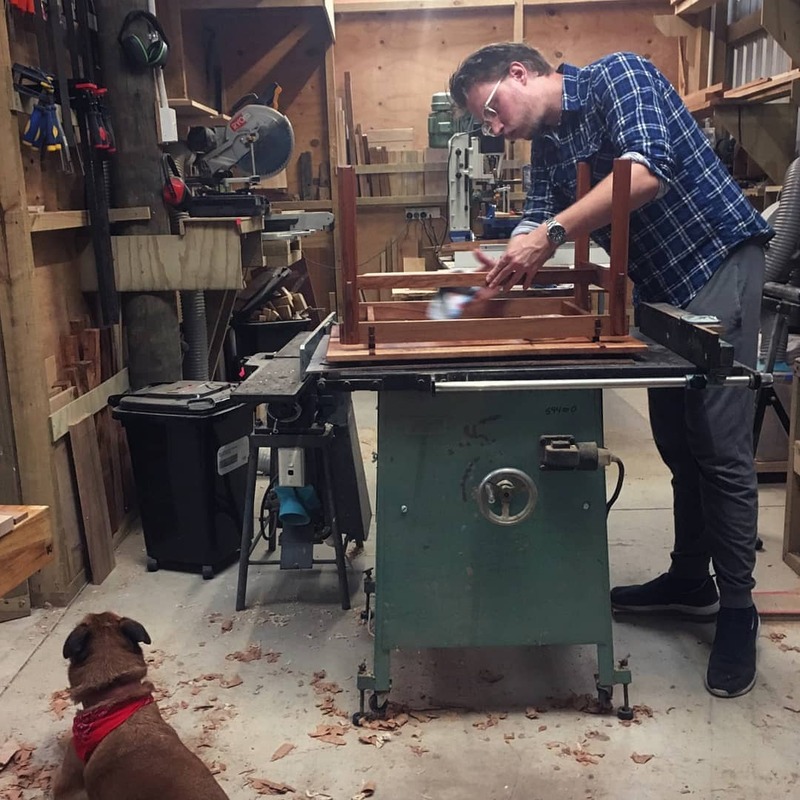 After over a decade in the entertainment business, I left it all behind to pursue my fine woodworking passion full-time. I focus primarily on one-off pieces, with all solid wood joinery based construction. I don’t use nails or screws, but mortise and tenons, dovetails, and other techniques. Any piece I construct is made to a quality point, never a price point, and I take pride in making the best possible work I can make, always. I normally make things on spec, with what inspires me at the time, but I also make commission pieces when the right project comes along. My work is made with a combination of Japanese hand tools, and various woodworking machines. I like to work with a variety of lumber, from Cypress to oak, from native New Zealand timbers to exotic imported woods. A buddy of mine has a portable lumber mill, so I occasionally get access to some interesting and special timbers, which I can get cut to my own specifications. My work is intended not to last a lifetime, but generations. I strive towards heirloom quality work at all times. Please don’t hesitate to get in touch if you would like to acquire or commission a piece.